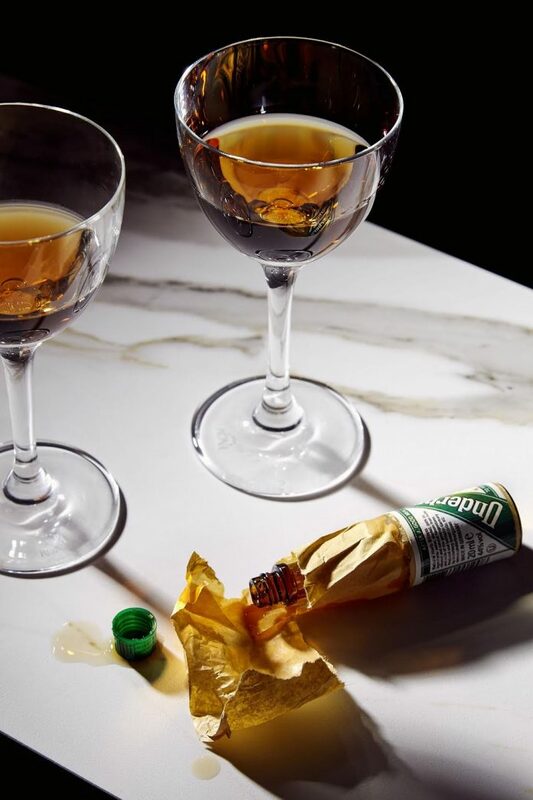 The Snake Oil Cocktail, with a whole mini bottle of Underberg bitters. industry folks shoot back as a matter of pride. whole mini bottle of Underberg bitters goes in this drink? “It’s a little edgy,” he warns. Kara Newman. Reprinted with permission from Chronicle Books.